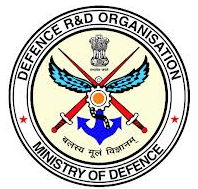 Institute of Technology & Management is the premier training institute of Defense Research & Development Organization(DRDO) India which invites applications from eligible individuals for the research work in the organization. Posted in Computer Science, Electrical, Electronics and Communication, Freshers, Government Job, Industrial, Job After Btech, Mechanical, Production, Research Fellowships, With experience, Without Experience. Tags: DRDO ITM, DRDO ITM Mussoorie, DRDO JRF recruitment, Government Job, Junior Research Fellow recruitment, Last Date 09 June on May 24, 2014 by Lalit Joshi.